Day two- 2 turtle dove s I know turtles but not so much turtle doves so, my son the turtle gets two turtles. The turtles are from The Rubber Cafe and the ‘2 turtles ‘ words Penny black. 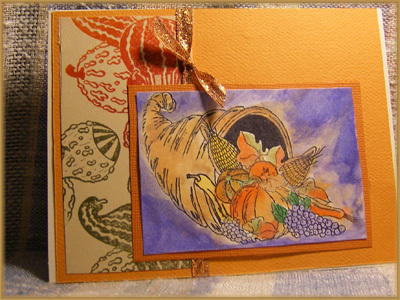 I water colored with twinkling h20’s and used The Rubber Cafe squashes as a background. The stamp is marked drs.